What I find most suspect is the implied notion that the FOA terminal is now only fully discussible with reference to the Hosukai wave. The real connection between the two artifacts/designs is superficial at best, and in some ways comes off as trying to "pull the wool over everyone else's eyes." Is it really true that most architects have a hard time communicating their designs to the public? That's not a rhetorical question. I'm seriously wondering what the answer is. I can see where FOA has a hard time communicating their designs to the public, but do most other architects also have a hard time communicating their designs to the public? Have architects overall become more and more unable to communicate their designs? If this is true, then something tells me that it isn't the public that is really most to blame. 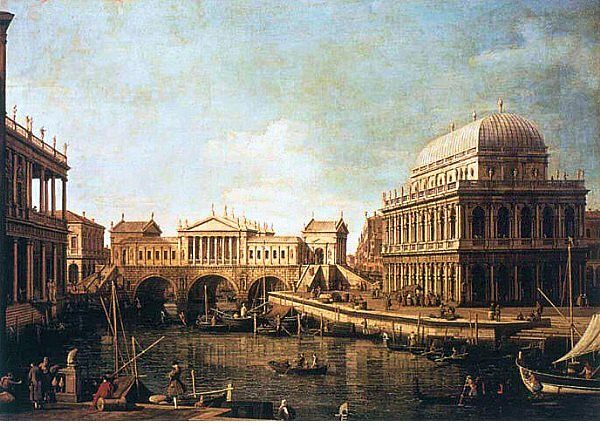 The opening theme for the revised Not There begins with the "new ideal city," "analogous buildings" and the Capriccio, the kit of parts, and ultimately Not There, the site. Not There, the site (plan)? 1.Comparable in certain respects, typically in a way that makes clearer the nature of the things compared. 2. (of structures) Performing a similar function but having a different evolutionary origin, such as the wings of insects and birds.